College admissions pools are crowded and competitive. Every year, millions of students apply to 4,000 colleges in the United States. More than 80% of American colleges accept half of their applicants. The other 20%, selective schools, struggle to differentiate students who have outstanding grades and test scores. Therefore selective colleges depend on students to help them decide who to accept. Your student should present themselves as authentic and unique, showing their best fit for the college. Beyond earning good grades and standardized test scores, here are 7 things your student can do to stand out to colleges. You can help your student best present who they are to admissions officers. But your student must know their Student Profile. More than their academic achievements, a student profile is your student’s extracurricular interests, involvement in the community; their skills, interests, outlook on life, and general motives and career aspirations. Once your student knows their profile, they can better present themselves in their resume, essays, and interviews. Also, students can give more in-depth insight into how they are different from other applicants. Your student should participate in a range of activities during high school that they would put on a well-crafted resume. The resume would include activities such as the volleyball team, choir, tutoring elementary kids, paid work, and volunteering at a nursing home to name a few. In the case of extracurricular participation, quality is better than quantity. Your student will be a more competitive candidate if they can show how they’ve engaged in their interests deeply. Joining dozens of activities and lightly participating does not demonstrate leadership. Also, the resume should show your student’s interests and the skills they’ve developed outside of the classroom. Your student’s resume will prove they will participate in campus activities, something that is important to admissions officers. Get to know teachers and guidance counselors. Most colleges require at least two letters of recommendation. Your student’s guidance counselor will write one. An academic teacher will write another. If a third is needed, it can be written by a second teacher, an employer or someone who knows your student well. This means that the best recommender isn’t necessarily the most popular teacher. Instead, your student should spend high school building a strong relationship with teachers and guidance counselors who can write quality recommendation letters. Recommendation letters should speak concretely about student’s performance, motivation, growth, and promise for college. Taking the time to research colleges is a crucial step in the admissions process. It’s tempting to get a list of colleges from friends, colleagues, and guidance counselors, and let that guide your decision process. But a college that may have worked for them or their students, may not be best for your student. Also, with regards to the college application, it will be easier for your student to make a case for acceptance if the school is a good match. 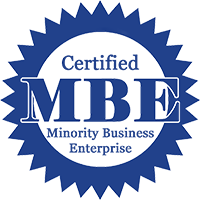 — ‣ What academic programs are offered? — ‣ What is campus life like? — ‣ Does the school offer activities my student is interested in? — ‣ What type of environment (rural, urban, suburban)? — ‣How far is too far? — ‣ What level of selectivity (selective, very selective, etc.)? — ‣ How much college tuition can we afford? Use sites like College Navigator with your student to find and research their college matches. Start with schools you both think are interesting and dig deeper into if they are truly a good fit for your student. 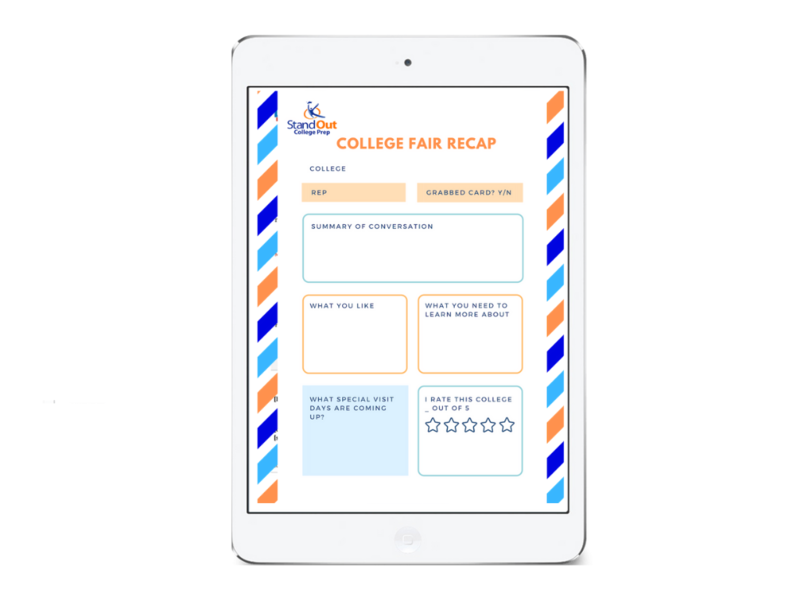 When you discover colleges that fit your student, visit sites like Cappex or Niche to learn more about them, as well as find similar schools of potential interest. Build relationships with College Admissions Officers. Each time that your student interacts with potential colleges, admissions officers make a note in their file. Also, the first person to read your student’s application, in many cases, is the regional representative who your student should be contacting regularly. 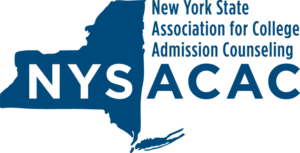 By fall of senior year, the regional admissions officer should know your student well enough to make a strong case for acceptance to the admissions committee. — ‣ Send an introduction email to admissions officers (attach your resume). — ‣Stay in touch with admissions officers. — ‣ Follow, like and comment on college admissions social media pages. — ‣Meet admissions officers at college fairs and school events. — ‣Follow up with a thank you note after every interaction. Write a unique and deeply personal college essay. The general essay and any additional supplemental essay required by the college are an essential part of the application. In essays, your student will share their unique story with admissions officers. Since admissions officers read hundreds of essays, your student’s piece(s) should capture their attention. When written well—once only characterized by numbers and statistics—your student will turn into a real human being and potential future citizen of the college. What is more, a compelling essay is authentic and reads like a memoir. When your student begins writing, encourage them to dig deep into who they are and who they want to become. Admissions officers love stories, for example, that illustrate students’ persistence, ability to solve problems, negotiate internal conflicts, and manage complex relationships. Your student’s essay should demonstrate evolution and readiness for the next step in their journey. — ‣ Recycling essays from social studies or English class assignments. — ‣ Not checking for grammatical and spelling errors before submitting. — ‣Choosing cliche topics (e.g. the trip to Spain that changed my life) or topics that do not offer any new information about the student. — ‣ Having adults edit the essay so much that it reads like it’s been written by a 45- year-old. Early admissions programs involve earlier application deadlines (e.g. November 1) than the regular admissions process. By applying early, your student would be notified earlier of admission decisions (around mid-to-late December). The most attractive aspect of early admissions programs is that colleges and universities tend to admit a higher percentage of the early applicant pool than they do of the regular applicant pool. Therefore, your student’s chances of being accepted as an early admissions candidate may be better than they would be as a regular applicant. 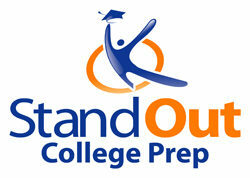 How can I stand out in the college admissions process is the question students and parents ask me the most. This article briefly sums up the 7 things you should focus on to standout in the college application. 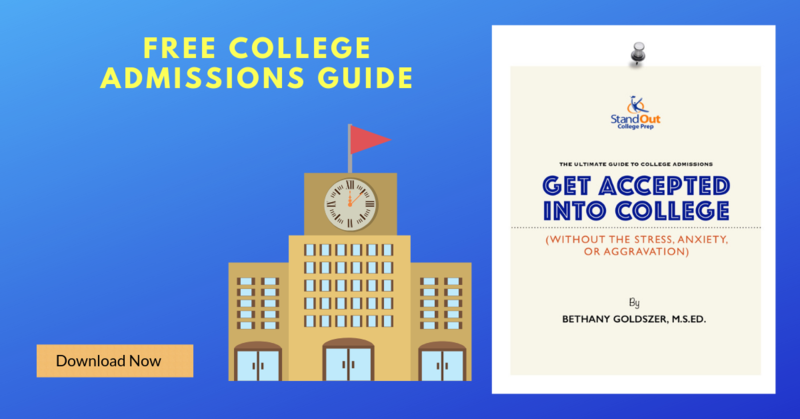 If you need more information on this how to stand out in college applications, be sure to download my free Ultimate Guide to College Admissions. It’s a 33-page guide that goes into how you can help your student stand out to colleges. ← When Should a Student Apply Test-Optional?